The work that Show Racism the Red Card has done since 1996 has contributed to developing a society that is built on tolerance, respect and equality and underpins the Welsh Government’s inclusive approach. On Tuesday 9th February the team from Show Racism the Red Card are running a practitioner conference at the Venue Cymru which is titled ‘Gypsy, Roma and Traveller Children in the Welsh Education System: Promoting Equality and Tackling Racism Practitioner Conference’. This is the first of two conferences that Show Racism the Red Card will be delivering to provide additional support for those that are working with Gypsy, Roma and Traveller young people. Throughout the day the attendees will take part in three different workshops that will explore Recognising & Responding to Racism, Embedding Equality: A Whole School Approach and How it was for us… Reflections and Recommendations. 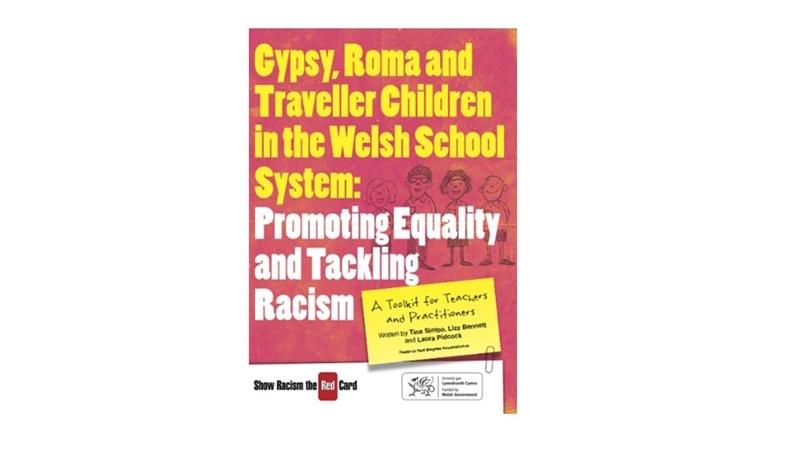 Show Racism the Red Card recently launched the brand new educational resource ‘Gypsy, Roma and Traveller Children in the Welsh School System: Promoting Equality and Tackling Racism’. The conference, just like the resource, has been funded by the Welsh Government. "Children from Gypsy, Roma and Traveller communities should, like any other child, feel safe and supported in school. To achieve this, we need to create an inclusive learning environment for all children, within which all cultural backgrounds are valued and respected. Embracing diversity means all children and young people will benefit from learning that meets their needs, encouraging them to widen their horizon, extend their aspirations and ambitions and develop within them an independent ability to apply knowledge and skills. I was delighted to work with Show Racism the Red Card in response to the recognition that amongst Gypsy, Roma and Traveller groups, attendance and achievement is significantly below the national average. Their expertise and understanding of the complex nature of these issues has enabled the development of this educational resource which provides advice, strategies and interventions to support those working with Gypsy, Roma and Travelling Communities. It will complement Travelling together – Resources to promote the integration of Gypsy and Traveller culture into the national curriculum, published in February 2014, which recognised that an understanding and acceptance of cultural differences is key to effective educational support. We have a very simple aim – every child and young person, regardless of their background, should benefit from excellent teaching in a safe and inclusive learning environment. I hope that the pack provides a valuable resource which will effectively improve the performance and support the inclusion of Gypsy, Roma and Traveller learners in Wales."